Hate hate HATE the new short scales. Played a 30" jazz bass at gc a few weeks back. 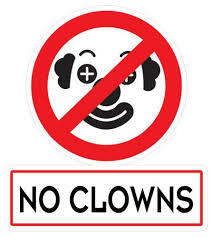 Thing should not exist. Are we talking about the one on the right? It looks pretty hot, didn't see it the last time I was at that GC. are these in the US now? Are there Guitar Centers anywhere but the US? Pickguard looks weird. Looks like a Rondo or some other knockoff company that *almost* got it right. are these in Canada now? I got to play one a few days ago. Sounded good and felt nice but it's a project guitar. 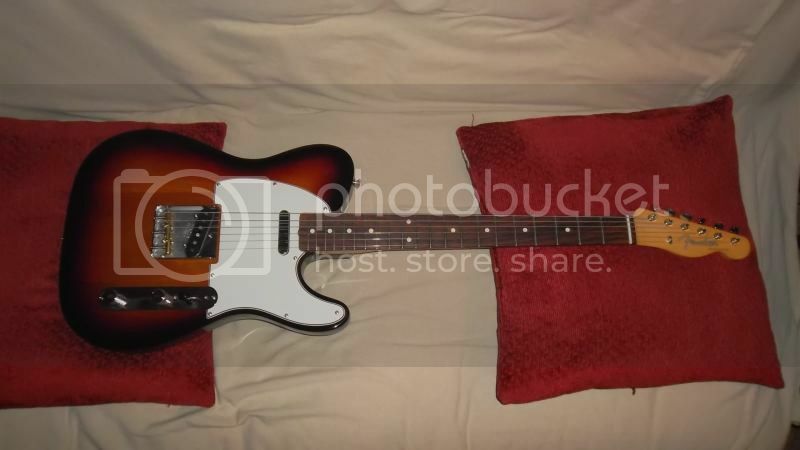 I could see myself buying it and changing out the bridge, bridge pickup, pickguard and wiring. I would of loved the neck better if the finish wasn't so thick. The neck pickup makes the guitar. A great guitar for effects pedals. Funny story, second to last time I was there I was playing a thinline tele and when I went to put it back I didn't get it in the rack thing so it dropped on the floor and I quickly put it back and left. I checked it quickly and it seemed fine, but the next time I came in it wasn't on the rack anymore. No one called me out on it so far so it's all good. Looks like a Rondo or some other knockoff company that *almost* got it right. That is basically what I said when I saw pictures of these after they were first announced. It looks (and I'm sure feels) like a cheap knockoff intended for beginners. From the hang tag, it looks like they are being sold only at GC in the US? (At least for now...) Another reason I wouldn't buy one. I still want to try it though, maybe it'll make me eat my words. 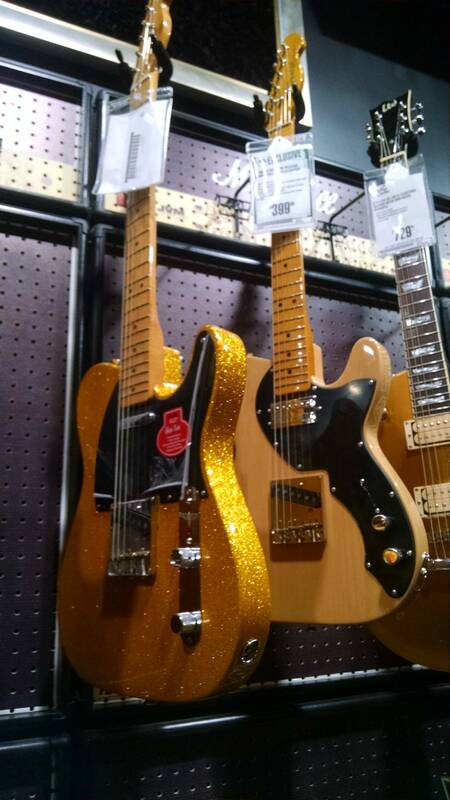 Sorry, but I don't llike the tiny (compared to a regular Tele) body. I'll stick with my 60s Baja Tele, thank you very much! Didn't realize these shortscale teles had small bodies as well and am similarly put off, certainly at that price anyway. I second the "Rondo" comment, as the proud owner of an SX gloss-necked '60s-cover'd Jazz Bass I'd put up against the 3x more expensive CV '60s any day. Fender are just dicks. that's sad man, you shouldn't feel that strongly about any guitar. Don't really care about the shortscale one but SINCE WHEN WERE THERE SCUMBAG GOLD SPARKLE BAJA TELES?